If you recall, when we last left our intrepid designer (that would be *ahem* me), she had just had her client (that would be the two-year-old) select a color palette (pale greenish-blue, lavender and pink) and an inspiration room (which, incidentally, is also pale greenish-blue, lavender and pink). Then we had a big ole' break because we had to handle some electrical work. Vintage houses, amiright? Anyway, we are back in business. So, speaking of that absolutely gorgeous inspiration room, the lovely woman who actually owns that absolutely gorgeous inspiration room, Amy McGee from McGee Life, was kind enough to tell me the name of the paint color on the walls. It's Restoration Hardware, "Silver Sage." Which I thought was really, really interesting, since years back when I had that genius designer lady who told me about the new look of track lighting (and saved my hiney on my old kitchen) she ALSO told me about an amazing, fabulous, paint color that I should keep on my list of must-do paint colors. Wanna take a guess as to which color it was? 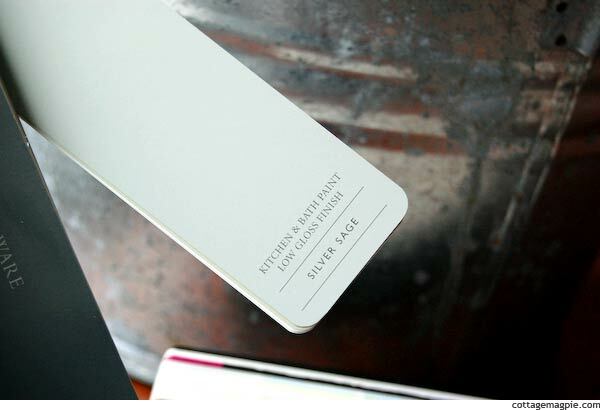 So, I called up Restoration Hardware and ordered myself a fan deck, and now I have in my hot little hands, a paint chip of "Silver Sage." Isn't it fantastic? It's so soft and barely greenish-blueish and just beautiful. You know this strip, right? It has Oyster Bay on it. It has Comfort Gray on it. It has Sea Salt on it. It's famous, nearly. Okay, maybe just to me, but I've seen these colors around a lot. And with good reason. They're gorgeous!! In fact, I've had Comfort Gray on my list ever since I saw it on The Nester's blog in her front room with the giant plate wall. Love that. 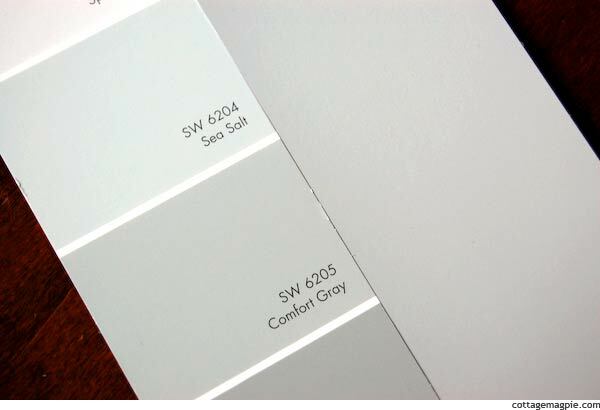 I'm thinking that the Silver Sage is right between Comfort Gray and Sea Salt. So. 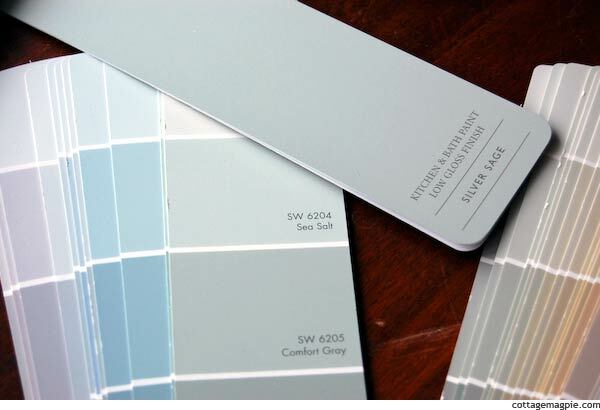 Since Restoration Hardware is an hour away, and Sherwin Williams is about a block away and I really like their paint, I'm going to go with the SW on this one. Baby Girl's room is a bit on the dark side, so I'm going to go with Sea Salt. And voila! We have a paint color! Woo hoooooo!!! It's only been months. Heh. Really, I should be embarrassed, except I'm too excited! 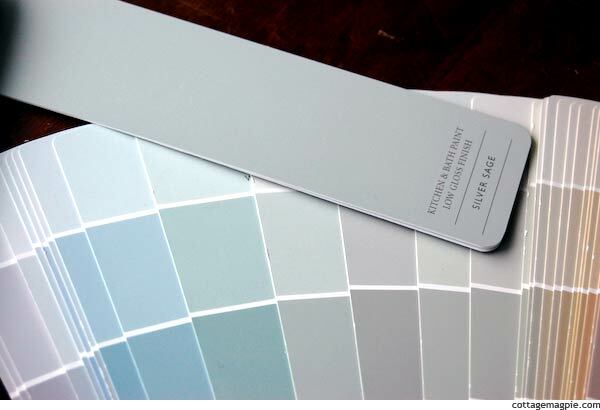 How long does it take you to pick a paint color? P.S. If you're wondering, I'm still working on the Countdown to Thanksgiving. My first project is well underway. More on that soon. But probably not until after Halloween.